Before there was social networking as we know it today, and before blogs, there were flat home pages. Among the first things most of us would do with these flat personal home pages would be to compile a list of links - essentially an extension of our browser bookmarks - so that our friends and other Web visitors would find out what we like, or possibly, so we could demonstrate an expertise. Now, as we have moved to a real-time Web built as much on streams as on pages, our sharing has sped up and many people are talking about the discovery and highlighting of key content as curation. New word... same idea. Good curation tools are hard to find, though I have seen a number of attempts to get the formula right - and much of the fault lies with gaps in today's search engines, who are increasingly favoring most recent content over most exact content. Into the void comes Symbaloo, a company that is taking a new spin on personalized link pages, or start pages, and creating what are called "Web Mixes", with core components being tiles (much like bookmarks), RSS feeds and rich media, which can be used to capture the day's news - but more importantly serve to be a page of record for a topic or a time. Symbaloo, a Dutch company, which has already enjoyed strong success in some areas of Europe, is today opening up to US customers in an early beta. With roots deep in the Continent, they are unapologetic about taking baby steps to serve us on the mainland, but they are eager to make a dent here as well. 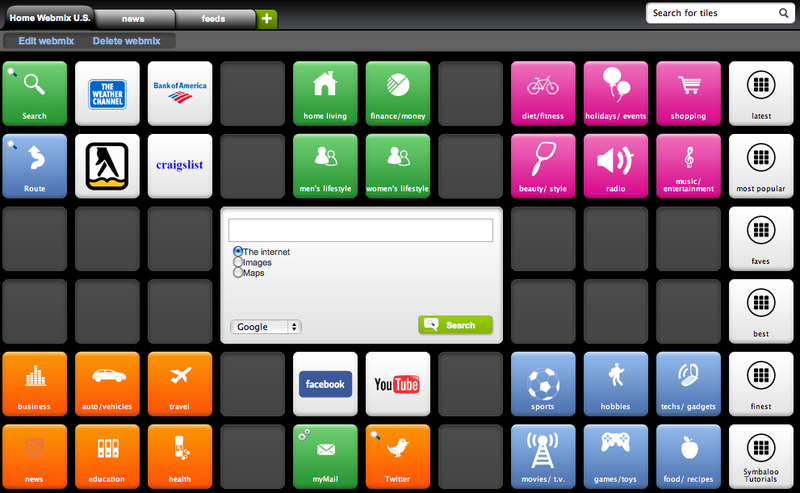 Symbaloo's main design features 52 tiles, laid out in a 6 x 10 rectangular grid, with the center area reserved to display selected RSS feeds or to search the Web with any of the pre-loaded search engines. Whatever you choose to do with those 52 available tiles is up to you - and you can share any custom Webmix you build with your friends downstream, highlighting the curation you have done. For example, given my interest in Web services and early adoption, I put together a list of 50 top startups, excluding the "wise beyond their years" examples of Facebook, Twitter and other large private companies, and then ordered these 50 from 1-50 in terms of potential impact and visibility, starting with Foursquare and ending with Fabulis. 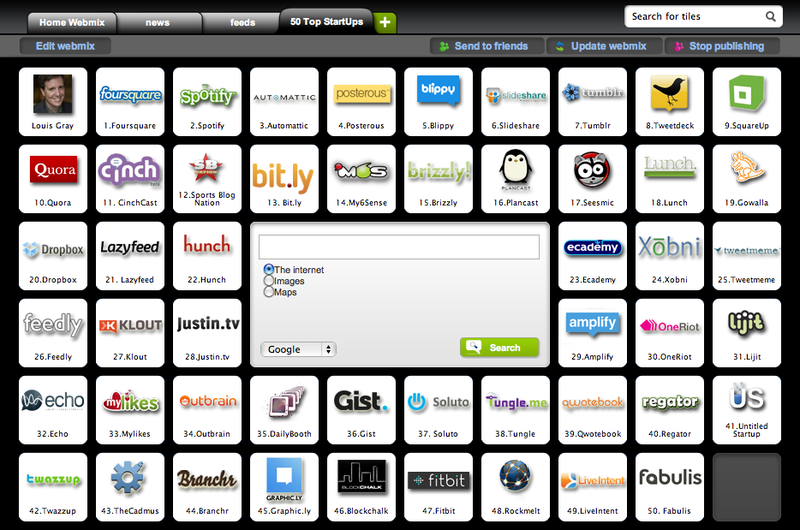 As you can see, the "50 Top Startups" Webmix displays high quality graphics for each tile and is visually appealing. Creating your own Webmixes is very easy. After logging in, hit the + sign to create a new Webmix, and then click a tile where you want to add a link. If the link you are looking to add already exists, just click to add it to your Webmix. 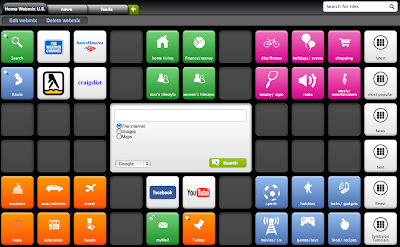 If it doesn't, then you can create it using an image from your computer, or one of the many standard icons provided by Symbaloo. If you have a field of expertise, and want to share your findings, or your sources of data, with the world, Symbaloo's Webmix approach packs a lot of links into a single graphically pleasing page. I would expect you could rapidly see topical pages built for everything from Sports to Business to History. I could see Webmixes being created not just by technology curators like me, but also by teachers and journalists working stories. For many, Symbaloo's approach may be compelling enough for them to use as their new browser start page, but for most of us, we have already edited our portals and are pretty set with what we want to see the first time we open up the Web. Instead, I think the opportunity to curate the Web and share with friends what we know is going to be the biggest opportunity. 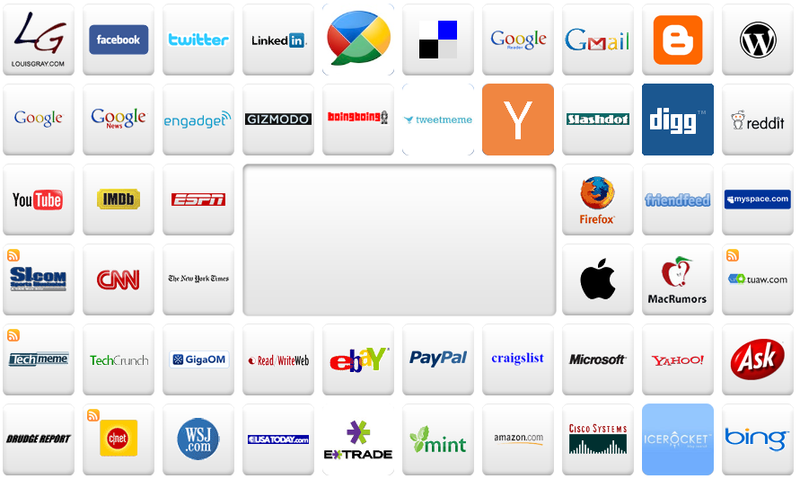 I expect to leverage Symbaloo as a one-stop personal portal, which I can get to from my desktop, iPad or any other mobile device. You can start making your Webmixes at http://www.symbaloo.com. Disclosure: Symbaloo is a client of Paladin Advisors Group, where I am Managing Editor of New Media.